Rima Kallingal, after given a short break for her acting career is making a comeback. If reports are to be believed, Rima would don a prominent role in Santhosh Viswanathan's directorial debut 'Chiraku Karinja Kinavual'. The movie which is touted as a complete entertainer will also have Kunchacko Boban and Sreenivasan in lead roles. The movie will be produced by Listin Stephen under the banner Magic Frames who has delivered wonderful projects like 'Traffic', 'Chaappa Kurish' Usthad Hotel and 'How Old Are You'. Set against the backdrops of Idukki, the movie will start rolling from 8th October 2014. 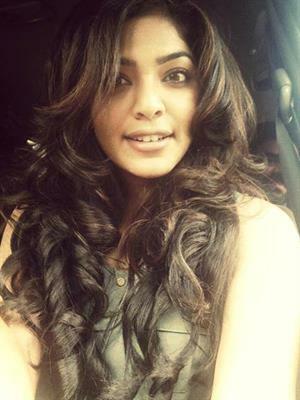 Rima Kallingal will also act in a movie to be directed by her husband Ashiq Abu. Rima who is currently busy with her dance school Mamangam would be a part of the film industry as soon as possible. Kunchacko Boban will team up with Rima Kallingal for the first time in his career. Even though, a title named 'Chirakodinja Kinavual' floated online, not much had heard later. If things go fine, 'Chiraku Karinja Kinavual' can be a visual treat for the mass audience. Rima Kallingal, the bold face of Malayalam film industry shot to fame after being the semi-finalist of the Asianet reality show Vodafone Thakadhimi. Rima who had shown her mettle on silver screen is known for her acting brilliance in movies like 'Happy Husbands', '22 Female Kottayam' and 'Zachariayude Garbhinikal'. As she never likes to be type casted, the roles offered her upcoming projects would be interesting and add more benefit in her acting career. Rima who also give much importance to social activities has planted two saplings as part of Mammootty's My Tree Challenge along with Aashiq Abu. Meanwhile is currently undergoing shoot of Vyshak's 'Cousins' which also feature Indrajith, Suraj Venjarammoodu and Joju George in lead. His last outing 'Bhaiyya Bhaiyya' with Biju Menon received lukewarm response from the audience. He has completed the first schedule of Dr. Biju's 'Valiya Chirakulla Pakshikal' which tells the tale of the sufferings of Endosulfan victims of Kasargod. Heroine malayalam movie directed by Shaan Kecheri featuring Natasha Doshi in lead is currently progressing at scheduled locations. The movie tells the tale of an actress who rose to popularity in a short period of time. Bijukuttan, Indran, Dharmajan Bolgatty, Kalinga Sasi, Lishoy, Shejiin, Neena Kurup, new faces Thomas, Stallin and Amin would give life to other prominent characters in the movie. 'Heroine' is being produced by Karthik P M under the banner Aim Alert Productions.